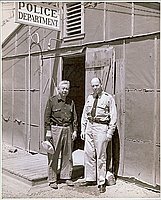 1 b&w; exterior shot taken in front of Manzanar police department. 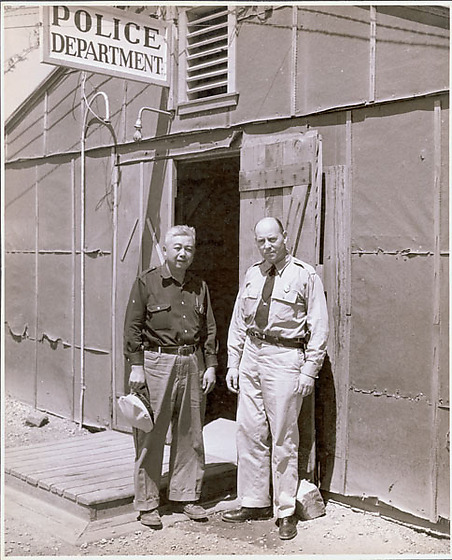 2 men standing in front of a barrack with a sign hanging above that reads: "Police Department". One of the men is caucasian wearing an officers uniform. The other man is Japanese American holding a cap in his right hand.